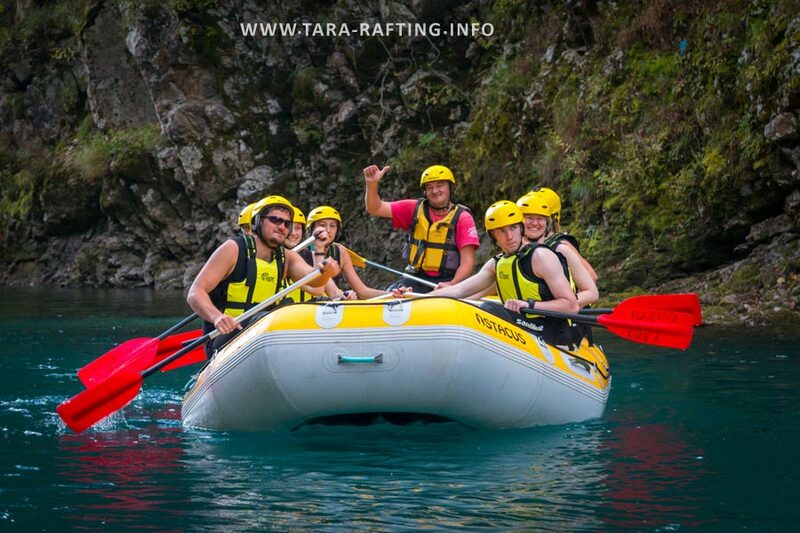 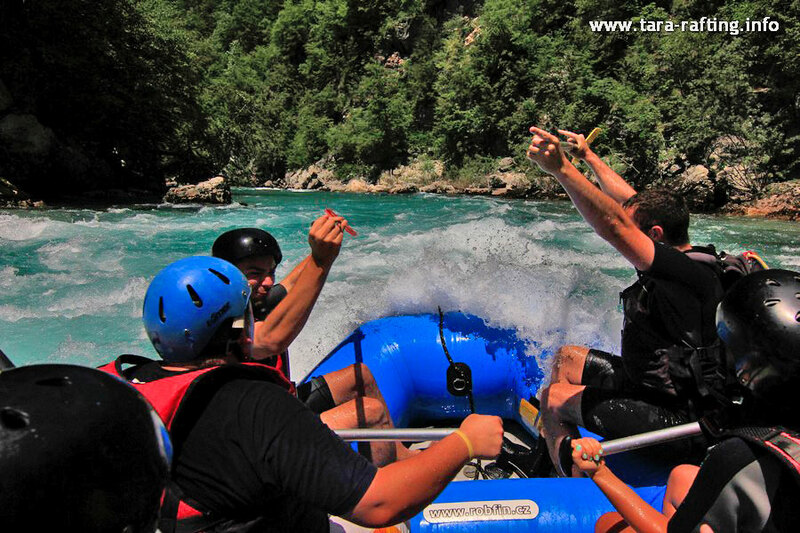 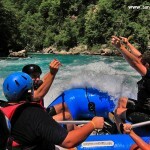 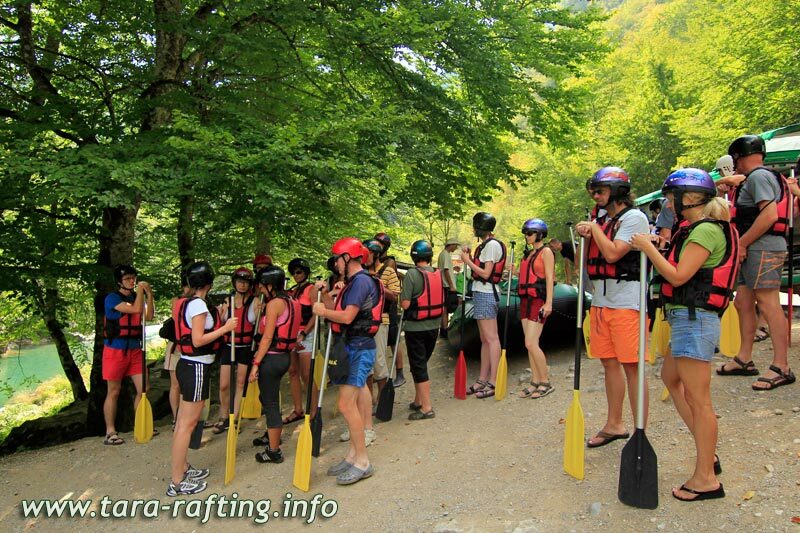 We offer three variants of rafting: 12, 30 and 75 kilometers. 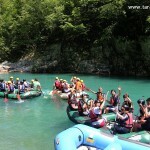 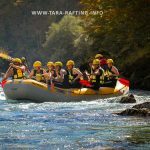 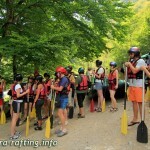 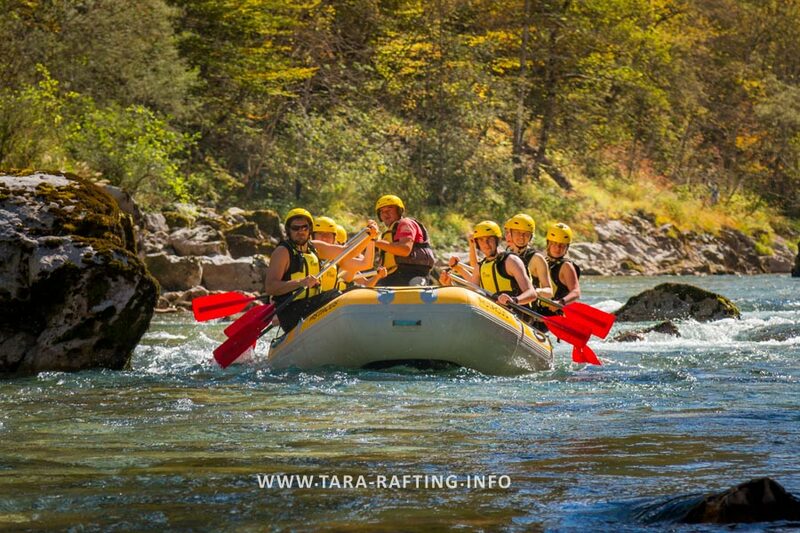 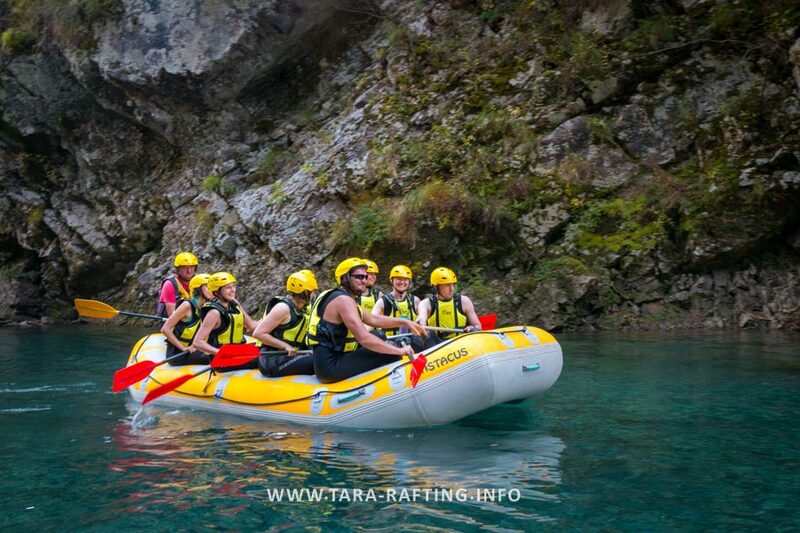 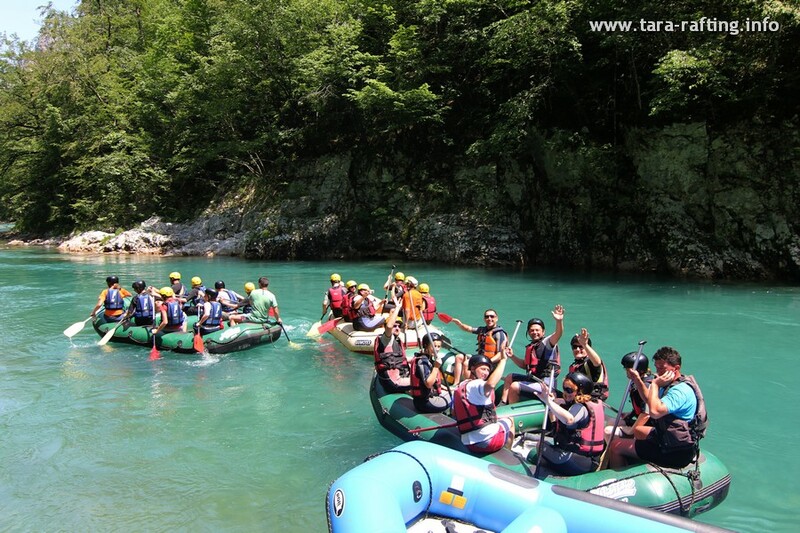 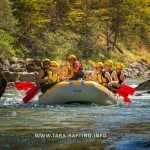 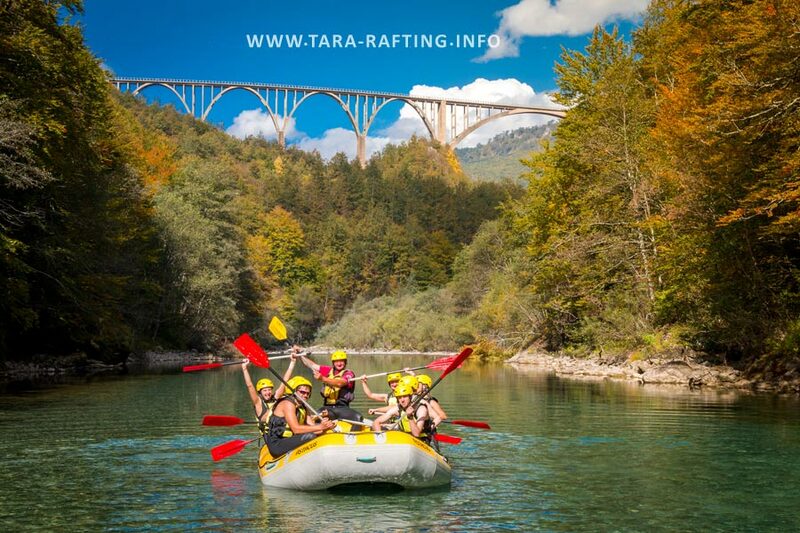 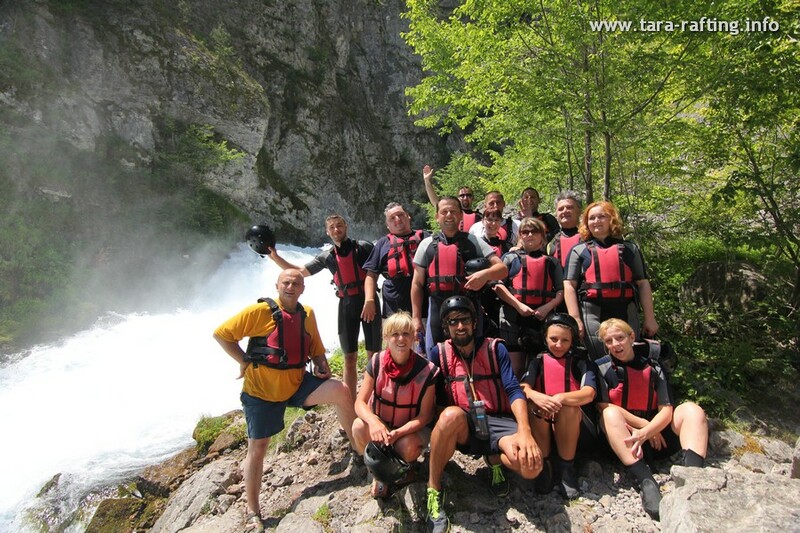 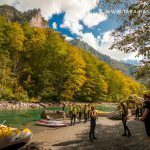 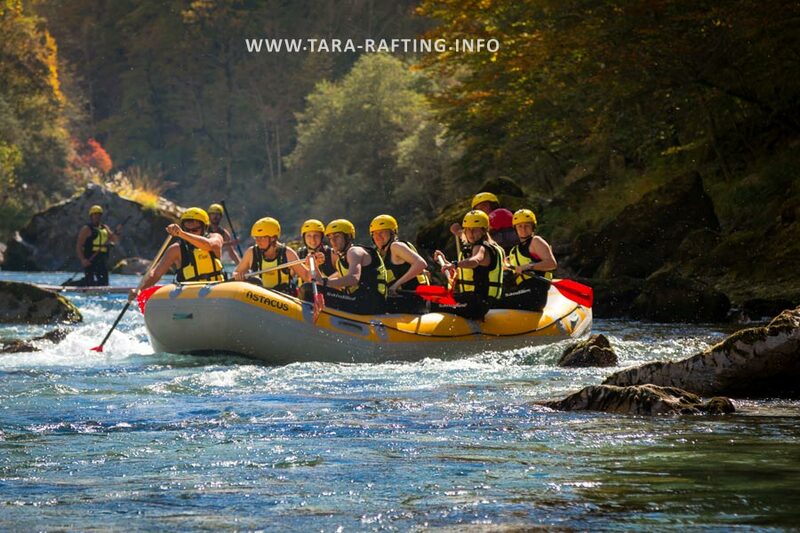 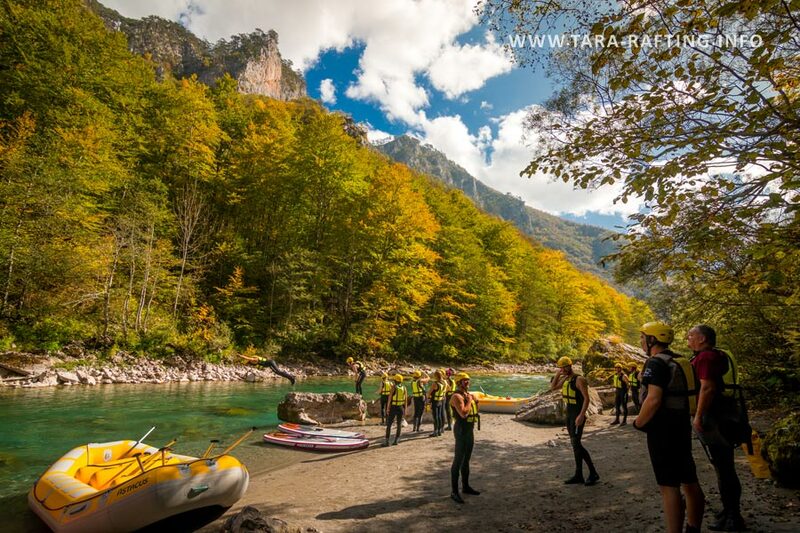 One day rafting in the heart of the national park Durmitor. 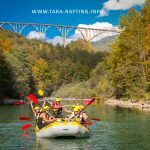 Boating 12km from the second camp, to Lever Tara (Žugića Luke) with a visit to the River Ljutica. 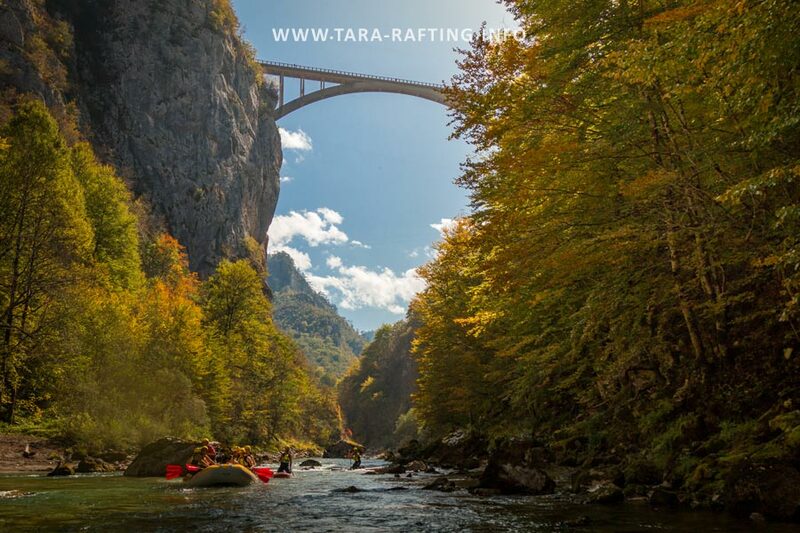 left tributary of Tara, which is on two bases in the Guinness Book of Records, the strongest European wellspring of 1000 liters per second and shortest European River length of only 170 meters, a tour of the monastery of Archangel Michael from the 13th century, the organization of swimming in the green whirlpools called (Paradise Gardens) . 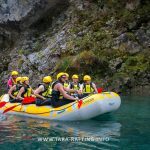 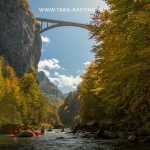 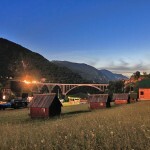 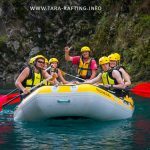 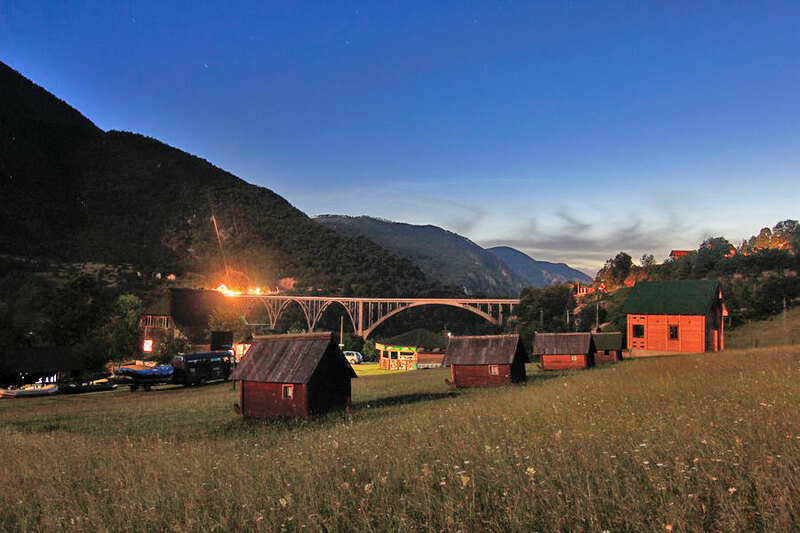 fees for boating, compulsory insurance, tickets in the Durmitor National Park, Services for boating, Licensed Rafting Guide, transport van from Camp Kljajević Luka to start, and from the end to the same camp and lunch at the camp. 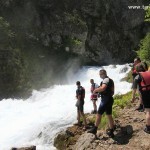 Number of persons is not limited. 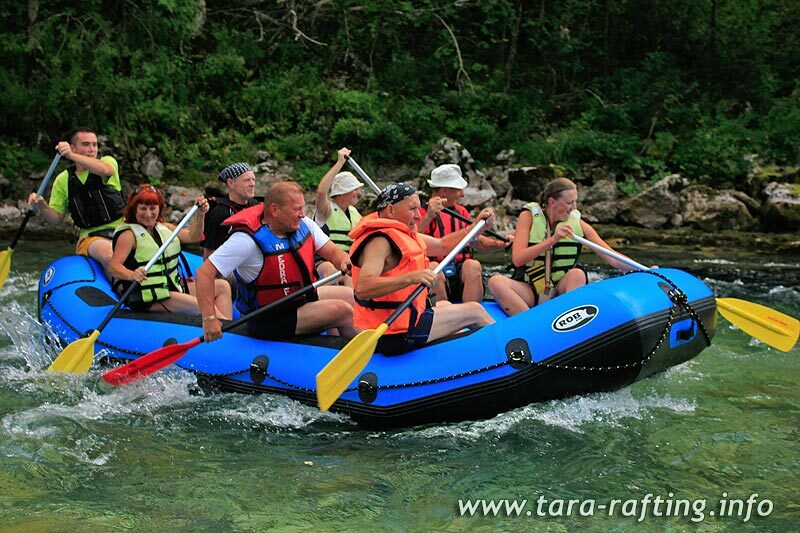 Applications should be made one day before. 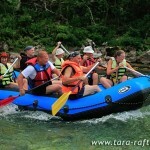 The preferred start the program at 9:30 in the morning or 14 o’clock in the afternoon. 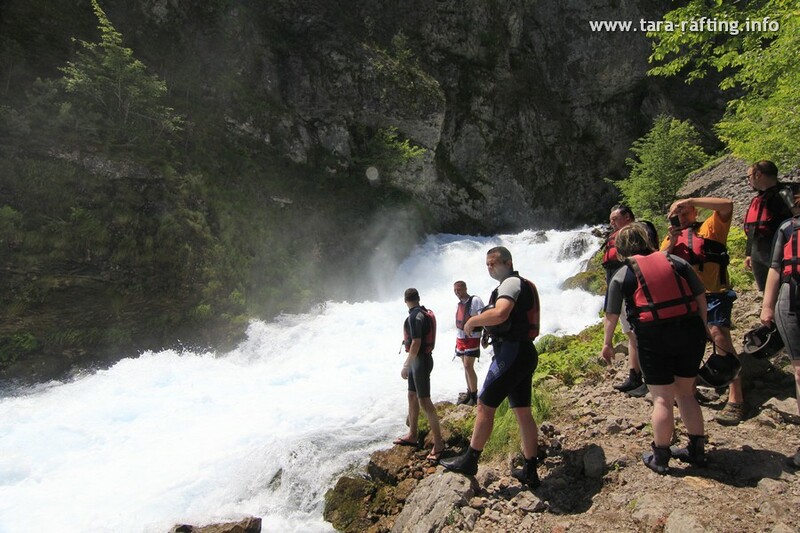 Completion of the program at 14:00 pm 17:00 pm in the afternoon program.